Interstate Electrical was trying to get a handle on job progression and cost. 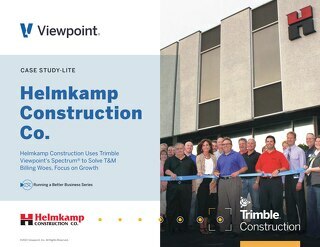 They were able to do that with Spectrum construction software. University Mechanical Contractors, Inc. was experiencing rapid growth. They needed a way to pay their vendors quickly. Viewpoint ePayments did the trick. Onboarding new employees quickly and effectively in a construction organization can be a difficult and manual process, but it doesn't have to be. 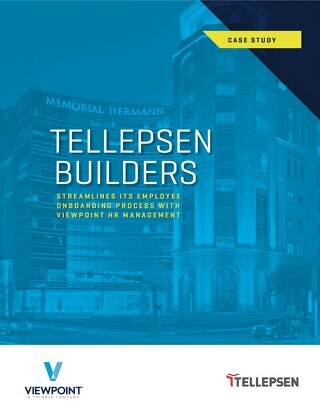 Here's what Tellepsen did to streamline their process. 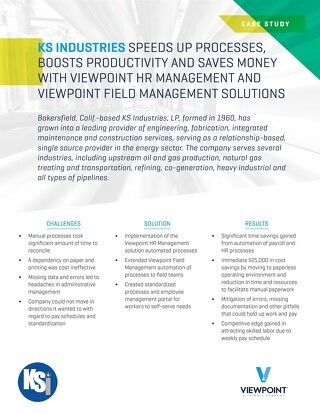 KS Industries speeds up processes and boosts productivity with Viewpoint HR and Field Management construction solutions. 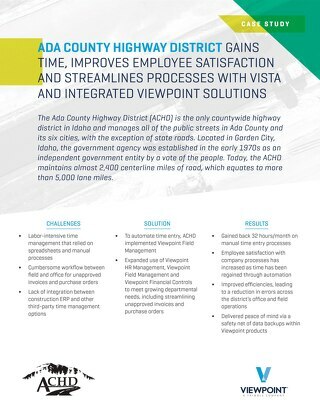 ADA County Highway District gets valuable time back by using Vista software for their construction organization. 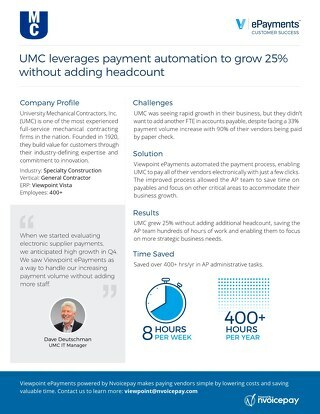 Since implementing Spectrum, Helmkamp’s T&M processes have been smooth and billing errors have been reduced to virtually nothing. Get the full story. 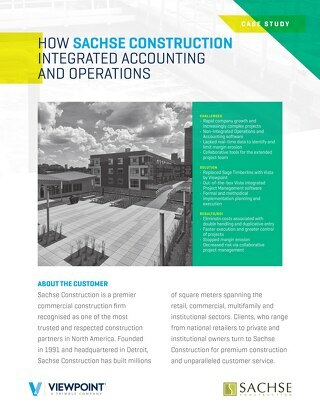 Sachse Construction uses Viewpoint construction software to reduce cost while minimizing silos and bringing accounting, finance and project managers together. Learn more. 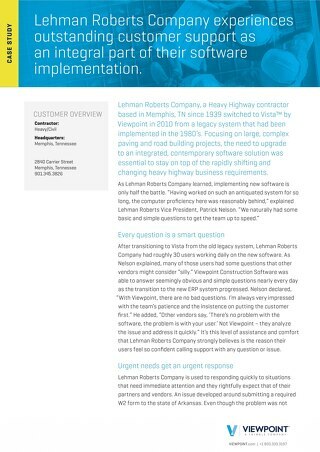 Viewpoint customer, Letham Roberts Company discusses their experience with Viewpoint software. Learn more. Hoar Construction believes Viewpoint is a long-term partner as they continue to streamline back-office expenses. 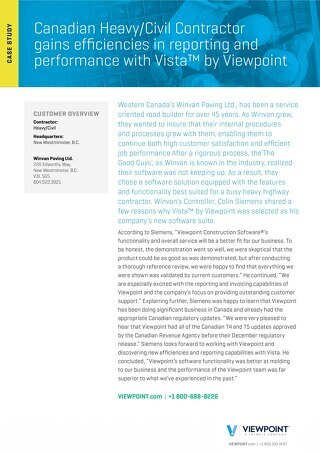 Learn how this Canadian heavy/civil contractor used Vista to gain efficiency in reporting and performance. 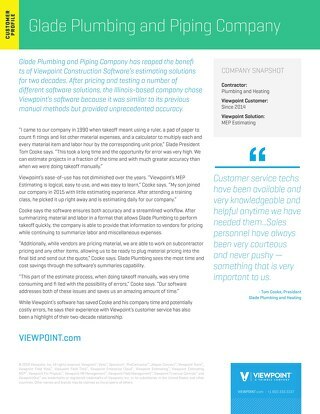 Learn how a prominent plumbing and heating company used Viewpoint construction software to estimate projects in a fraction of time. 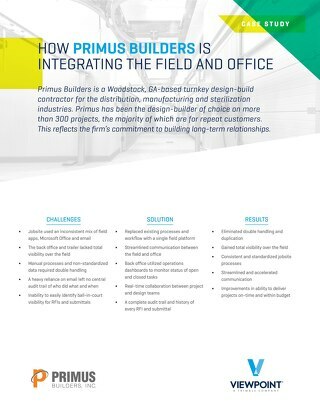 Primus Builder overcame many challenges by implementing Viewpoint Construction Management software. 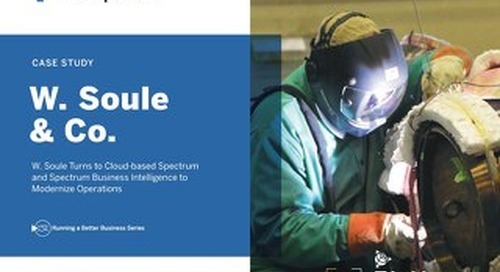 Find out how they eliminated double handling and streamlined communication. 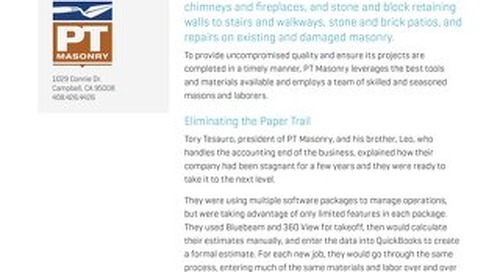 ProContrator's job cost accounting and financial management capabilities helped revolutionize operations for PT Masonry, a Bay Area masonry company. 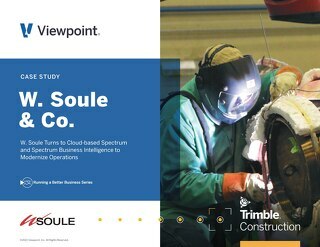 Learn how one-stop shop, W. Soule & Co. used Spectrum to create customized reports and use data from those reports to make low-risk decisions. 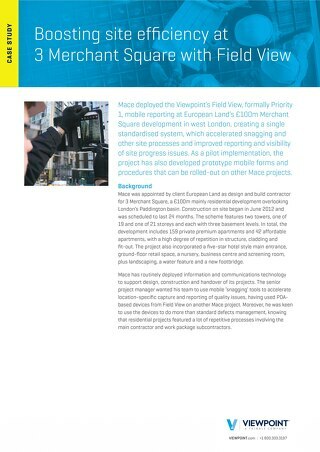 Mace deployed Viewpoint Field View mobile creating a single standardised system, which accelerated snagging and other site processes and improved reporting and visibility of site progress issues. 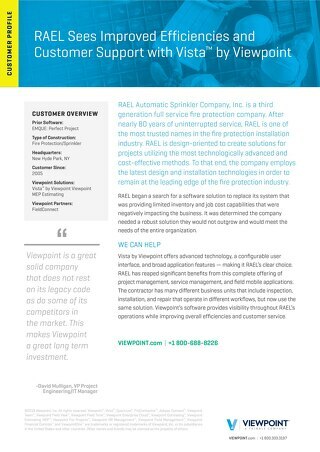 Ryan Fireprotection used Viewpoint Vista construction management software to streamline their payroll system, leading to big results. Van Dyken is primarily focused on HVAC operations. They needed to streamline project management workflow in order to grow. Their solution? Vista construction management software. 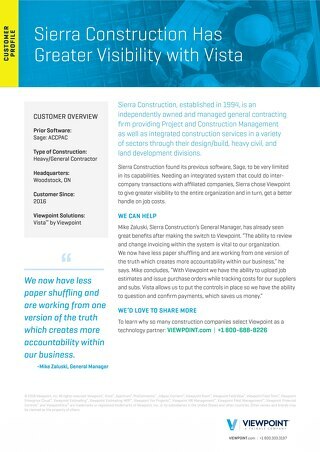 Sierra Construction increases visibility and gets job costs under control with Vista. 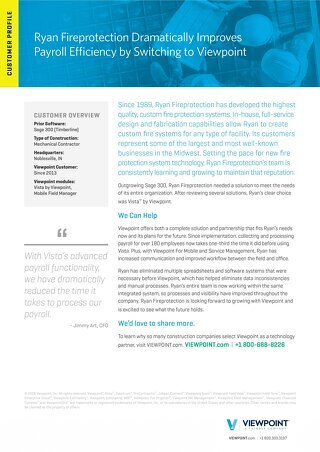 Fire Protection/Sprinkler Contractor RAEL uses Vista construction ERP to improve project management, service management and mobile access for employees, improving efficiency and customer support. JB Henderson was established in 1959. They are a general/mechanical contracting company that uses Vista by Viewpoint to streamline their accounting processes. 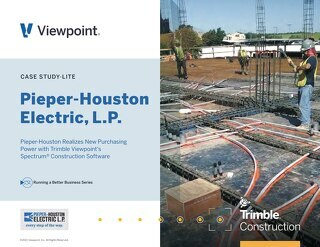 Pieper-Houston saves time and labor costs with Spectrum construction software.